This paper presents an approach to classification of family coats of arms and armorial achievement. It is difficult to obtain images with coats of arms because not many of them are publicly available. To the best of our knowledge, there is no dataset. Therefore, we artificially extend our dataset using Neural Style Transfer technique and simple image transformations. We describe our dataset and the division into training and test sets that respects the lack of data examples. We discuss results obtained with both small convolutional neural network (convnet) trained from scratch and modified architectures of various convents pretrained on Imagenet dataset. 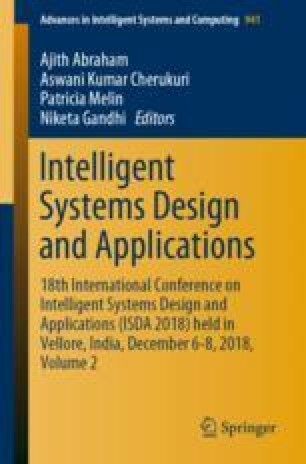 This paper further focuses on the VGG architecture which produces the best accuracy. We show accuracy progress during training, per-class accuracy and a normalized confusion matrix for VGG16 architecture. We reach top-1 accuracy of nearly 60% and top-5 accuracy of 80%. To the best of our knowledge, this is the first family coats of arms classification work, so we cannot compare our results with others. M. Sustek and F. Vidensky—Contributed equally to this work. This work was supported by the BUT project FIT-S-17-4014 and the IT4IXS: IT4Innovations Excellence in Science project (LQ1602).